League of Women Voters advocacy is based on stated positions on issues; those positions, at the national, state and local levels, are developed through member study and consensus. The positions of the Massachusetts League are found in Where We Stand, and fall into the broad categories of Government, including voting and elections; Natural Resources; and Social Policy, including meeting basic human needs and education. League advocacy actions include, but are not limited to, providing information to League members and to the public, building public opinion, and supporting or opposing legislation. Methods to do this can include lobbying, testifying at public hearings, using public forums and the media, panel discussions, League publications, and communication with public officials. The Action Priorities adopted by LWVMA at its conventions prioritize our advocacy activity but do not limit it only to those areas. 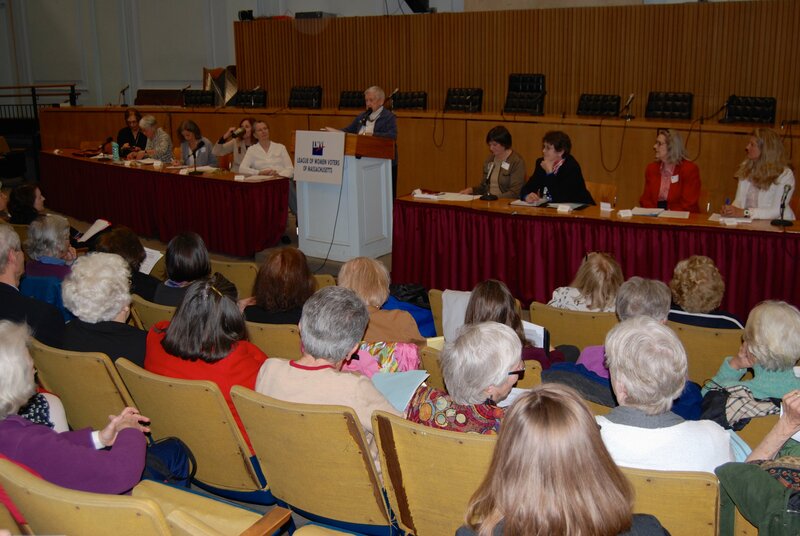 LWVMA’s Legislative Action Committee (LAC) is our lobbying arm and is composed of specialists in specific areas. The specialists review bills and recommend to the LWVMA board which bills to support or oppose. The specialists also testify before legislative committees, urge member support of legislation, and work with other organizations in coalitions to pass certain bills. The LAC holds an annual Day on the Hill lobby day to provide an opportunity for all League members to speak with their legislators. 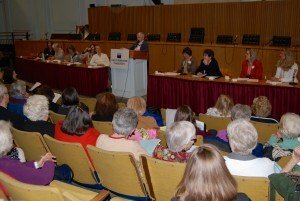 LWVMA also advocates for its priorities by participating in rallies, educating citizens through forums on issues, writing letters to the editor, and many other activities to raise public awareness of issues we consider critical to the strength of our democracy and the well-being of our Commonwealth. For more information about our advocacy efforts, contact Nancy Brumback.